Sony PlayStation lovers, your wait for the next console may be shorter. According to Macquarie Capital Securities analyst Damian Thong, Sony’s next gaming console, likely to be called PlayStation 5 or PS5, could arrive as soon as next year. The analyst, as reported by the Forbes website, says that the console could arrive in the second half of 2018. If true, PS5 will launch less than 5 years after the launch of PS4 and almost one year after the arrival of PS4 Pro, which launched last year. Nothing else is known about the console yet. However, there is a possibility that the company will be making the PS5 compatible with PS4 titles. One can expect a faster memory, improved chipset and more storage. Since Microsoft has been Sony’s main rival in the gaming console industry, the company in all likeliness, will be making its PS5 at par with the Microsoft’s upcoming project Scorpio console. Maybe we could see Sony hinting the new console at E3 game conference this year or next year. According to a report from IHM Markit from March this year, Sony led the gaming console market in 2016. 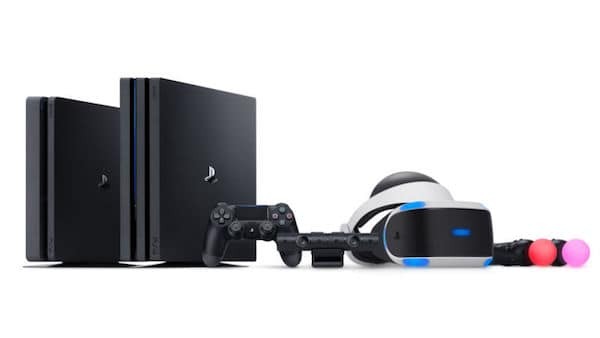 As per the report from market analysis company, Sony was leading the console market even when there was a decline in overall sales volume and reduction in prices for consoles. The company led the market with 51% share and $19.7 billion of spending on console hardware, games content and services. Sony (51%) was followed by Microsoft Xbox One with 26% share and Nintendo’s 3DS (with variants) 8% share. IHS has forecasted Sony to grow this year as well at the same pace. The Japanese tech giant is expected to break console market sales value of $20 billion this year. As for other consoles, it has been mentioned that both Microsoft and Nintendo are expected to grow this year.